If you are a business owner, you know that you have to watch the bottom line, not only tracking the income you earn but your expenses as well. You need office supplies, your employees must attend training at an out-of-town location or you need to entertain a new client. As much as you would like to hand your employees credit cards and let them charge what they need, the fees for credit cards are often very high. You also must deal with credit limits and worry about employee fraud. A reloadable debit card for business lets you control how much is spent on the card, adding to the balance of the card when you need it. If you have an employee heading to the office supply store, you can load their card with the amount you have authorized them to spend. If your staff needs to attend training out of town, their reloadable card for business can have just the amount you budgeted for their lunch added with no worries about overspending. Where can employees use the reloadable business card? The business Visa debit card has many of the same benefits a reloadable card has. Offered through Bento for Business the card is accepted wherever Visa is accepted. The business Visa debit card for business is low cost and gives you greater spending control. Bento for Business even offers a 60-day free trial and you can sign up online in less than 60 seconds. Why choose the business debit solutions over a reloadable business card? 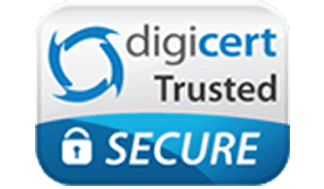 The reloadable business card is secure, allowing you to control expenses while also preventing employee theft and internal fraud. However business debit cards allow you to change card limits as you need to and the card can be loaded 24 hours per day, 7 days per week no matter where you are. There is even a mobile app that you can use that lets you eliminate employee expense forms. If you have questions, you can easily find the answer on their Support page as well. At Bento for Business, the Bento card for business comes with SSL encryption and up to $250,000 in FDIC insurance. This means that you can use the card with confidence anywhere Visa is accepted. Many credit cards are designed for large businesses, with significant transaction and setup fees. 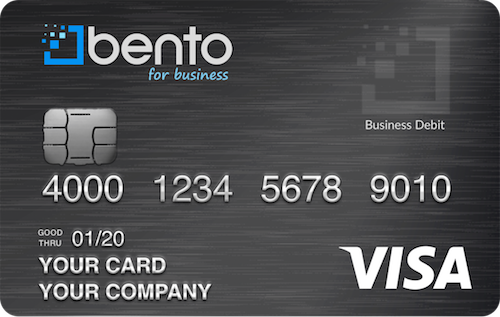 A business Visa debit card from Bento for Business is designed specifically for small businesses just like yours. They are designed for travel, supplies and small purchases so that you can keep track of your company expenses easily while also keeping track of employee expenses. As a small business owner, you want to streamline your processes as much as possible. Often, a small business owner is the financial manager, purchasing agent and human resources department. Using a business Visa debit cards lets you eliminate employee expense reports and get a better handle on where your money is going on a daily, weekly and monthly basis. If you are looking for a way to give your employees the ability to purchase goods and services without checks or cash, but need to control their spending, a Bento card is the perfect solution. Contact us by phone today at 866.220.8455 or fill out the easy form online to learn more about how a Bento for Business Visa debit card can help.